Well boy Anil, ah back. Not to give you and yuh padnas a hard time, but to point out why allyuh chupidness growing so that allyuh could never win another election in Trinidad. You see, is obvious mistakes allyuh making from day 1. Well, if you counting 'outside' chirren, it going back 12 years for some and 20+ for others. But from 2010, allyuh start off with mouth before action. I know, I know... That's what you known for, you will tell me. But Anil boy, that good for the radio or the rum shop. Not for a government in the 21st century. I realise that since Reshmi, Kamla take a beating she ent recover from. She still reeling, though from political blows or spirits, ah cyah tell. But no population like when allyuh politicians make promises and can't deliver. Crime plan, pension, all those went like dutty drawers. You and Moonilogan them playing ostrich. Burying yuh head does only exposed other, more sensitive anatomy. This government is the most unpopular ever. Allyuh had to fire 20 ministers... Ah mean man, yuh think Mugabe had to fire so many? Even Panday wasn't so popularly unpopular. Nor Robinson... And he took a beating for abusing public servants. 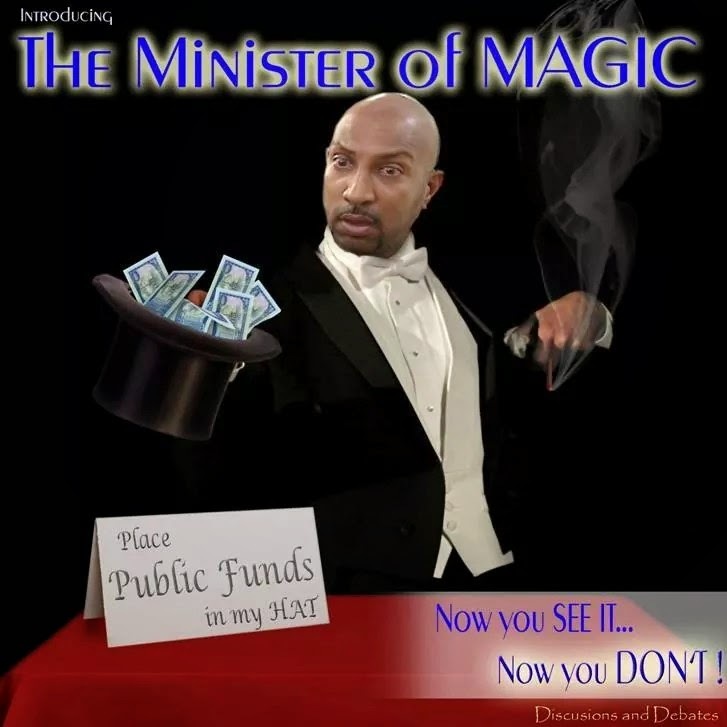 Speaking of public servants, allyuh do a first... Or maybe allyuh was jess the first to get ketch... But allyuh assimilated public sector bigwigs into the fold and helped fattening their pockets so they would turn a blind eye on allyuh fattening allyuh own. Doh get meh wrong, ah eh saying allyuh hold a gun to they head. No, allyuh make a new case of "the blind leading the blind". Nobody eh see, hear or do nothing wrong. But the AG with the large jaw, lack of tack, and lack of criminal law expertise might have started something... He showed that allyuh might still have to answer years from now in civil court. I eh say that the complainant will win... But think about the legal fees, man. Or, allyuh have so much now that is no worries? De SC will never accept yuh MP resignation. You and I know that. You and I know why too. But you and I know that once de salaries bill pass, you fixed too. Ah mean, yuh make your 4 years. Pension for life, adjusted per current salaries of any sitting government. Wey sah!